Stress is a normal part of living. It affects people of all ages, genders, and circumstances. 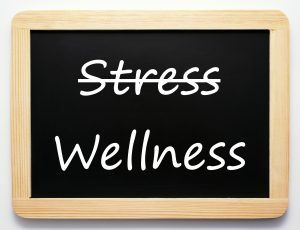 When it becomes chronic, however, stress can lead to physical and psychological health issues. Unfortunately, many of the stressors that we deal with today turn into chronic stressors, and since issues are often not easily resolved, things build up, and one thing leads to another. It’s easy to feel overwhelmed. Stress that’s debilitating and chronic, is quite different from the stress that can be beneficial at times. Sometimes normal stress can produce a boost that provides us with drive and energy to get through a situation. These are the everyday stressors that can be managed with healthy stress-management behaviors. Talk to others about what’s going on. Massage therapy has been shown to reduce the overall effects of stress on the body and bring about a feeling of emotional well-being. This makes it a powerful tool in the fight against stress and tension. In fact, stress relief is one of the first benefits that come to mind when thinking of massage therapy. It’s also a key component for anyone trying to achieve a healthier lifestyle. Clinical studies show that even a single session can significantly lower heart rate, cortisol levels, and insulin levels — all of which explain why massage therapy and stress relief go hand-in-hand. Taking care of your body should be at the top of your priorities. By adding therapeutic massage to your routine now, you’ll feel, look and simply be healthier far into the future. In fact, stress relief alone can improve your vitality and state of mind. If you’re looking to add stress-relieving massage to your wellness program, schedule an appointment with our student clinic. In addition to stress relief, ongoing massage therapy can reduce pain, increase energy levels, and improve overall physical and mental performance.